Swapping a secure job to launch a new life as a winemaker isn’t all fun and grapes. Fernando Mora left a successful career in engineering after falling in love with wine, here he tells us what it takes to convert passion into product. How did you first decide to go into winemaking? Thanks to my wife, I encountered my first formal wine tasting when we were visiting a local winery in 2007. Instantly, I was in love and after a few sips I told her we would make wine at home - six months later we were chilling our first Garnacha fermentation in a plastic bucket in a bathtub full of iced water! I’ve been in love with wine ever since. Life as I had known it was destroyed - everything from that point on was to be “winefied”. Initially I started by reading several winemaking books, planting a small vineyard of 36 vines, fighting my fear of bees, visiting as many wineries as possible and chatting with lots of wine people in my country, Spain. What personality traits do you feel are essential to winemaking? Passion is everything. I was a successful engineer (with a stable income! ), but it was my passion for wine that drove me to leave my former life behind. Creativity, study and innovation are key: you need the imagination to create a wine in your mind and the skill to later realise it in the winery. You also need to be a good listener; I listened to other skilled winemakers, sommeliers, marketers and sales people to understand what was wanted, needed and how to do it. How have WSET qualifications helped you advance your winemaking? 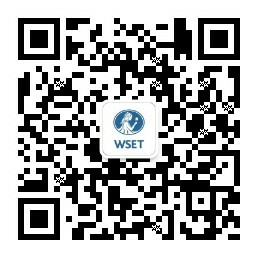 Enrolling in the WSET programmes changed everything. It opened my mind and palate to wines from all over the world, so I learnt that winemaking techniques and wine styles are much more expansive than what the local wineries in my region were doing. If you only taste and understand the wines of your area you will produce the same, but if you want to get outside the box you need to learn what else is out there. Also, through the courses I met several friends who really helped me in taking my first steps as a winemaker. What made you decide to pursue the Master of Wine? Well, the truth is that I never thought I would do the MW programme! A friend of mine told me that the Institute of Masters of Wine was holding a recruitment event in Haro (Rioja), and I attended to see what it was all about. I was still finishing my WSET Diploma at the time but I was so impressed by Sarah Jane Evans MW and Pedro Ballesteros MW that I decided to sit the MW entry exam. Two months later I was accepted into the programme and I decided to go for it. What do you hope to gain from achieving MW status? Spain is one of the most exciting countries in terms of wine diversity. Unfortunately we are also the bulk wine source of the world. I hope that, together with other colleagues, I can help to better position Spain in terms of value and quality – I am sure that we can lead a new Spanish revolution! Besides that I want to promote Garnacha worldwide - it is the forgotten grape, the ugly duckling. I am a Garnacha maker: it’s my grape, my kid. I have also gained many friends, the MW is a crazy, brilliant family that I look forward to joining. I was very proud and pleased to pass both exams first time (only 2-3 people passed this year first time) and I am now working on my research paper. How do you feel WSET courses prepared you for the MW? Obviously well! How are you going to pass a tasting, or identify different appellations, regions, grapes and countries if you have not studied them properly and in-depth? I never read the MW syllabus before I enrolled so in a way I am improvising, building on what WSET has taught me. I have needed to work really hard, but thanks to WSET I had a basis to grow. Also my lovely mentor Victoria Burt MW helped me to succeed in the IMW exams; now for my research paper I am flying solo and it is not so easy! Everyone in my team, from assistants to sales people, will be WSET certified before the end of 2017 since we really believe in this training model. Passion is everything... Creativity, study and innovation are key: you need the imagination to create a wine in your mind and the skill to later realise it in the winery. What was the most surprising thing about being a winemaker that you have learned so far in your career? You need to take risks, but you also need to be technical. I started winemaking as a passionate home winemaker, and I have studied more than ever before to transform my hobby into my business. If you bottle a mistake, you have a problem and you will need to deal with that. But beyond that, the winemaking community is so open, familiar and funny that somebody always wants to help. I started making wine at home, later I started my own label using wines made under contract by a winery, and finally I took the control of winemaking again. What advice would you give to an aspiring winemaker looking to get their foot in the door? I think the most common way to start is by working in different wineries, worldwide, to open the mind and really understand that in wine 1+1 is not always 2. Understanding the differences between boutique and industrial wineries, traditional and state of the art winemaking techniques, and working with different climates and varieties is key. These were my first steps and now I am happy to manage my own wine project, Bodegas Frontonio. Follow this link to find out more about becoming a winemaker.